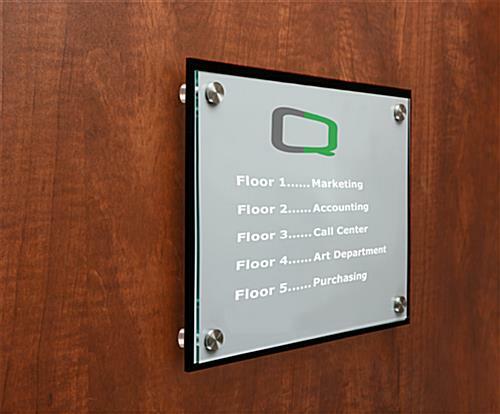 2" x 8" 3" x 6" 6" x 6"
Corporate door signs create custom office spaces by labeling locations with room numbers or employee names for easy navigation. 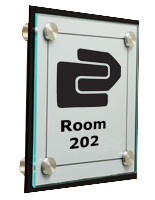 Design a label using one of our three downloadable templates, simply insert between the two acrylic plates and mount to a wall with the standoffs. 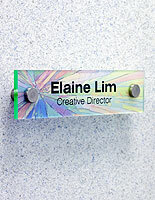 The door signs come with one type of printable film, (3) frosted. 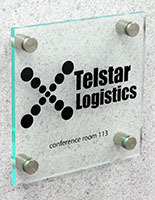 Signage can be printed in B&W or color and the film that is made for laser printers only, not inkjet printers. 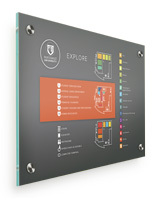 The door signs are a complete print-it-yourself sign system for any business. 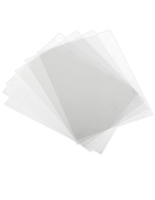 If there are any room or name changes, then just replace the film between the two plates. 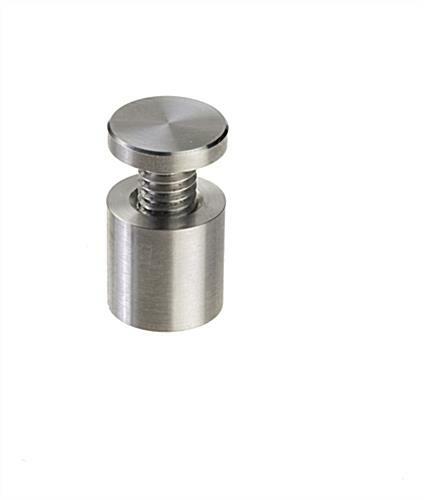 The stainless steel standoffs offer a simple and professional look for an office. 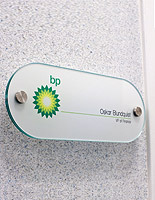 These name plates are affordable and eliminate external printing costs. 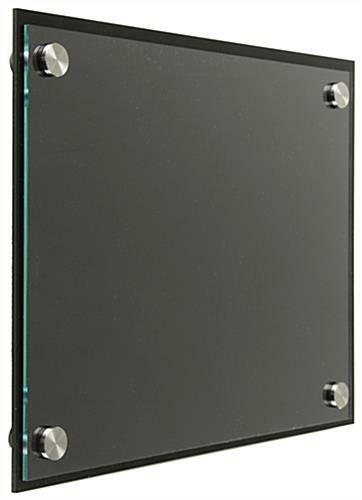 8.3" x 11.5" x 1.0"
High quality, very easy to put together and install. Would purchase again. Look very nice. Thanks for the great review, Craig. We'll be here when you need us again in the future! These signs look great! They look professional and classy in my building. I have well over 100 offices in my building, and these signs are designating each space. Though switching them all out at once was a little tiresome and tedious, once I am changing only one at a time it will be fantastic! We're glad you're satisfied overall with your purchase, Gretchen! We hope you shop with us again soon. 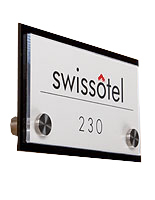 Sturdy, modern and professional signs. So glad we went with them. 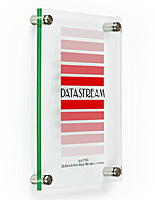 We are very happy with this product. We have purchased others for the front office. They are very professional and classy looking. Ordered the 8.5 x 11 to replace hallway signs in our building. The order came in and was well packaged arriving all in one piece. Everything you need is included in the package and looks wonderful! Will be ordering more signs!